Endless Mountains Visitors Bureau executive director Jean Ruhf (left) and communications coordinator Shelley McAndrew are anxious to help organizations and civic leaders apply for Room Tax Grant funding for 2015. Applications are now available and are due by Sept. 25. 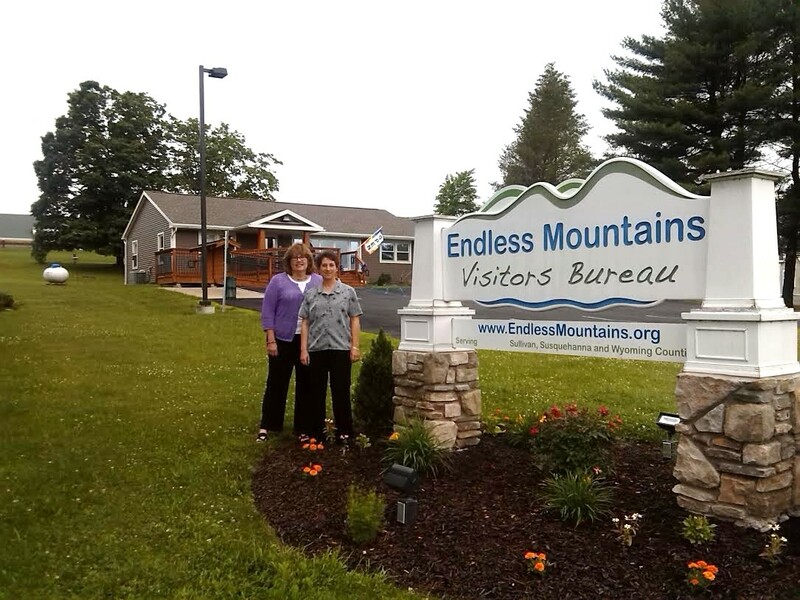 The Endless Mountains Visitors Bureau (EMVB) has announced that applications for 2015 Room Tax Grants are now available, and the deadline for submission of the completed forms is Friday, Sept. 25, 2015. Since 2004, numerous organizations, including museums, arts councils, historical societies, trail and way-finding organizations, and the boards of annual fairs, festivals and special one-time events have benefited from more than $1 million in Room Tax Grants. The three percent room tax levied on guests to the Endless Mountains staying lodging in Sullivan, Susquehanna, and Wyoming Counties. Thirty percent of the amount collected in each county goes into the Room Tax Grant Program, EMVB Executive Director Jean Ruhf explained. EMVB allocated $127,458 to the three counties in 2014. 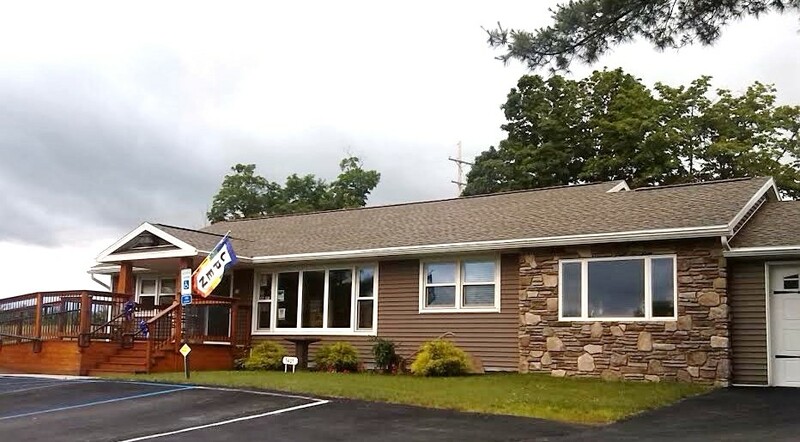 “Sullivan County dollars stay in Sullivan County, and so on. The majority of grants go towards marketing and advertising. The whole reason why we do room tax grants is to get heads in beds,” said Ruhf. As the designated tourism agency for the three-county Endless Mountains region, it is the responsibility of EMVB to make the applications available, provide explanations of the forms as necessary, and to coordinate the returned applications for the final process, which is conducted by a Room Tax Committee in each county. “We oversee the program to make sure that all of the grant applications are in line with Pennsylvania legislation regarding the room tax program,” Ruhf related. “It is not a difficult process to submit a grant. Don’t be intimidated by the application.” Ruhf invites first-time applicants in particular to call 570-836-5431 or 800-769-8999, and a staff member will gladly help them through the process. EMVB makes sure that applications meet all guidelines and include all necessary information. It is up to each county, however, to determine which qualifying non-profit organizations receive funding, as the requests for grants always exceed the amount of money available. Each county’s Room Tax Committee, Ruhf added, is structured differently and makes decisions with no further involvement from EMVB. Last year, Ruhf noted, a fire company in Susquehanna County successfully applied for funding to promote its annual carnival. “Those types of people are encouraged to submit an application,” she stated. The application for the 2015 tourism season is available under the Media tab at www.EndlessMountains.org. Applications may also be obtained by calling or stopping by the Endless Mountains Visitors Center at 5405 State Route 6 west of Tunkhannock or emailing jean@endlessmountains.org. Applications must be postmarked no later than Friday, Sept. 25 to qualify.